April was an extremely busy month for the StoragePRO team. 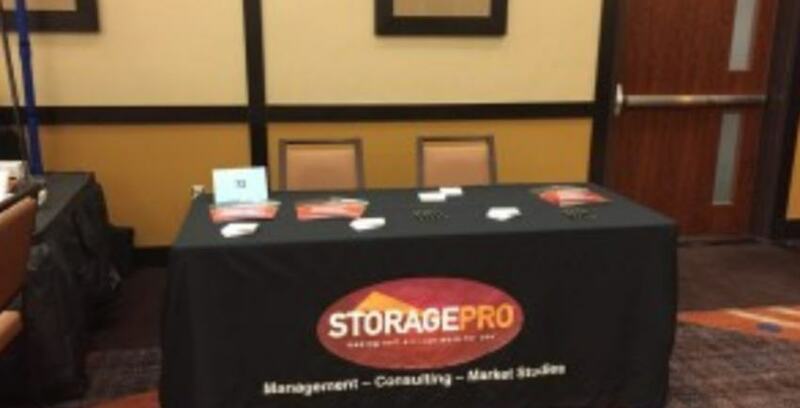 Along with maintaining current operations and continually driving toward success, StoragePRO attended two different conferences in two different states within a span of one week! First conference on the list: Arizona Self Storage Association (AZSA) Conference and Trade Show in Chandler, Arizona. President of StoragePRO, Steve Mirabito, and Vice President of Operations, Daniel Higuera, attended this conference, making this StoragePRO’s first appearance at the AZSA Conference. StoragePRO was the only self storage operator from California as the other operators originated from Arizona and Utah. In total, there were about 250 attendees, all eager to visit each operators’ booth, including our own. The goal of attending this conference was to establish a presence in Arizona as we hope to one day expand into that marketplace! The event keep our fearless leaders busy with numerous speakers, panels and discussions, networking opportunities, and a silent auction benefiting Kure It Cancer research. Our very own Vice President won a baseball bat signed from the Arizona Diamondbacks as well as Beats by Dre headphones. All of which went to Kure It Cancer research. Although this was a small conference, the opportunities gained just by being there was substantial. The next stop on StoragePRO’s quest for success and accounts was the Inside Self-Storage (ISS) World Exposition in Las Vegas, Nevada. Where the AZSA Conference was small and had only 250 attendees, the ISS Expo had over 3,000! This conference is the self-storage industry’s largest conference and tradeshow. Operators, visitors, and vendors from all over the country attended this massive event, and StoragePRO was proud to be among them. Throughout the two day conference, we showed potential clients our modern reporting tools, Data Analytic tactics, and Marketing features. Left: Steve Mirabito working StoragePRO’s booth! Right: Members of the team, APMs Mayra Ceja and Shanelle Ingram in front of the StoragePRO booth banners. StoragePRO has always participated in the ISS Conference and Tradeshow, but only as attendees. However, this time was different! 2016 signified the first time StoragePRO had its very own booth to market our brand and image in order to gain new accounts. In addition to hosting a customized StoragePRO booth, our team came out in full-force. Steve Mirabito, Daniel Higuera, and all the Area Performance Managers (minus one) – Mayra Ceja, Shanelle Ingram, and Mark Riley – all worked together to gain potential clients and make important connections with other vendors and operators! Above: Caught on camera: APM Shanelle (left), Steve Mirabito (middle), and Daniel Higuera (right) in action! The conference may be over, but the journey has just begun. This month, StoragePRO is attending CSSA’s 4th Annual West Coast Self-Storage Owners Conference in Napa as a Platinum Sponsor! By attending these conferences, we strive to make self-storage work for everyone!